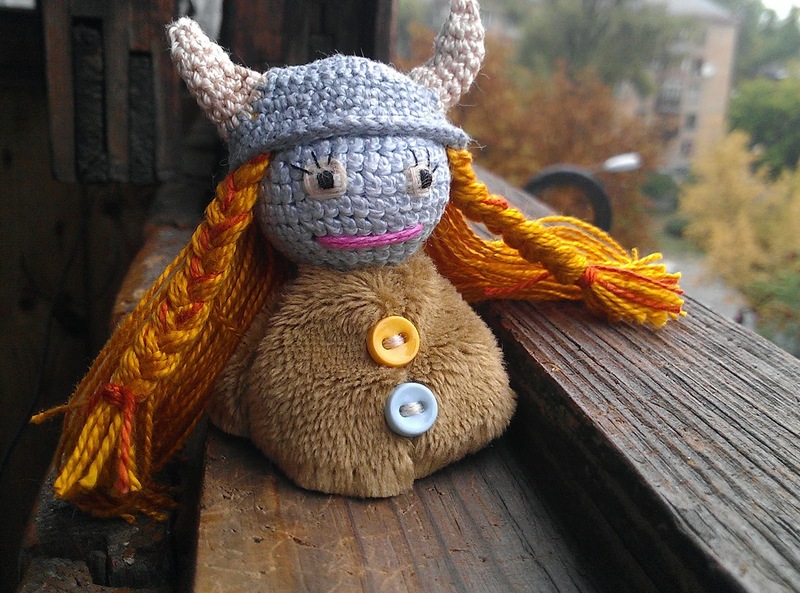 Let me introduce you a little viking girl. 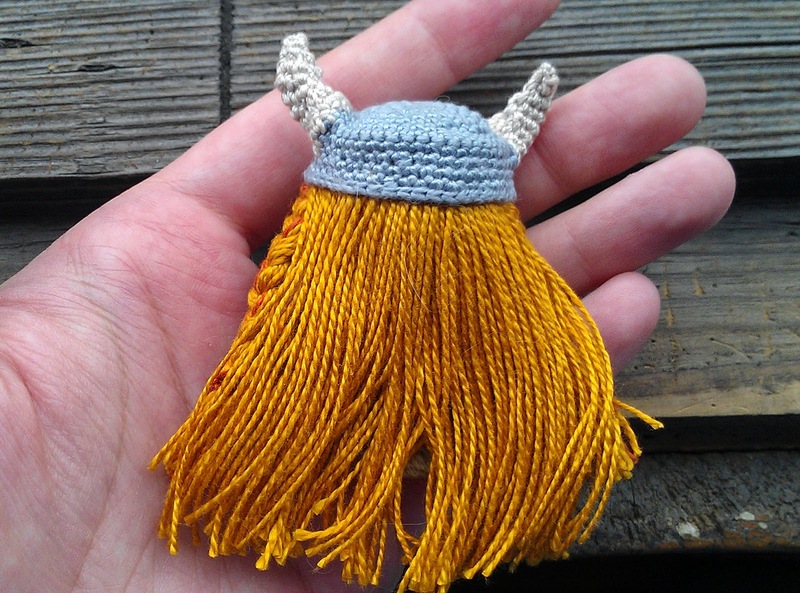 I made this cute amigurumi for a good friend of mine, who moved to Sweden recently. 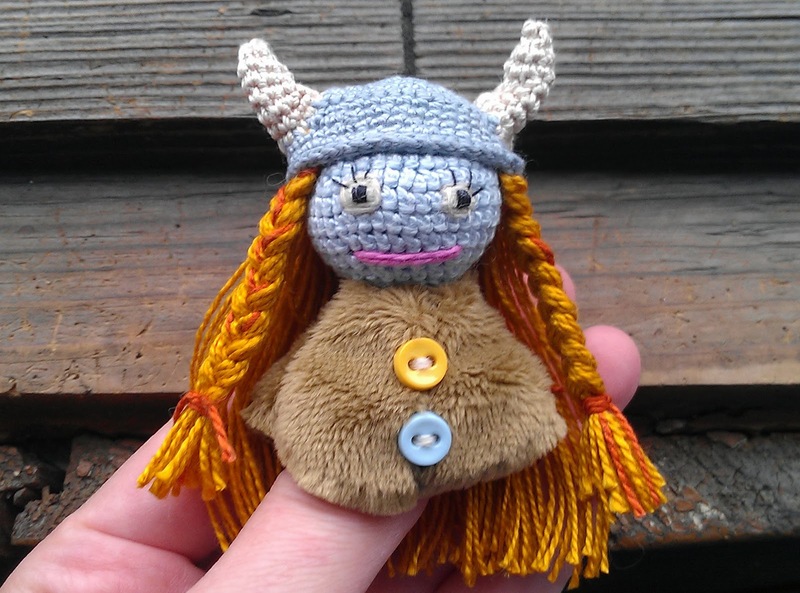 She has a bright red hair with braids and a traditional viking hat with horns. She is wearing a fur coat with colorful buttons, that not only warms her, but also is her basis. 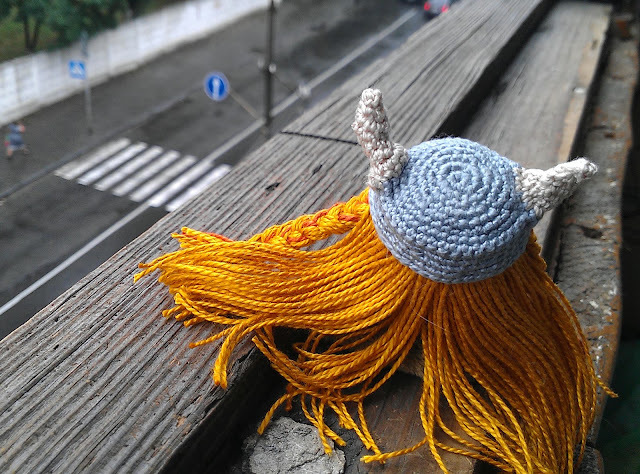 She likes looking out of the window waiting for her viking boy. 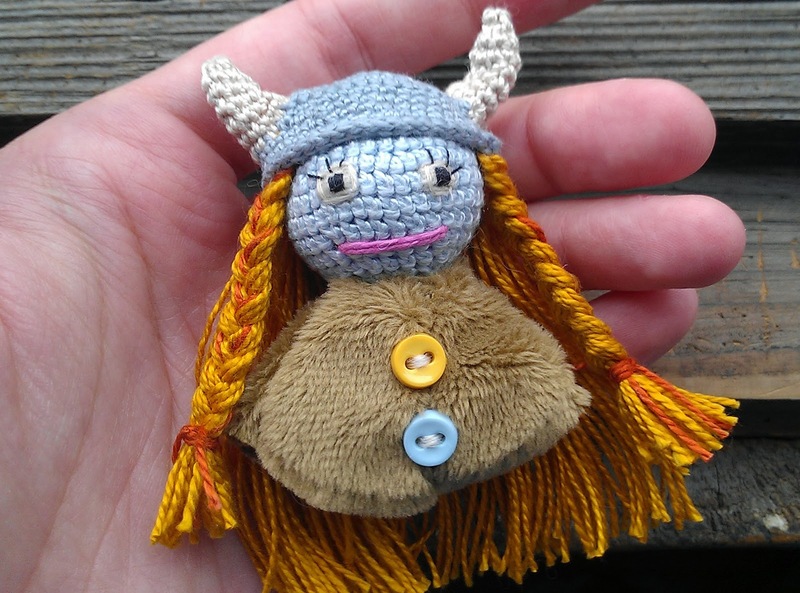 Despite braveness, courage and strength, that are usual characteristics for an average viking girl, she is also very graceful and tiny - she actually fits in my palm. Just take a look at her gorgeous long hair. So here she is - Viking Girl. Hope you enjoyed your acquaintance. See you later!